Does anyone else remember the nightly news slogan from years ago, “It’s 10 o’clock… do you know where your children are?” This catchphrase, of keeping an eye on your loved ones, still resonates today. The past few weeks the airwaves have been flooded with terrorists attacks in New Jersey, New York, Washington State and Minnesota. And now, Hurricane Matthew is about to hit the east coast, potentially causing massive damage. I also find myself thinking of family, but also co-workers and other business travelers when distaster strikes. Working in an industry filled constantly with travel and constantly changing schedules, it’s hard to know where everyone is in a moment’s notice. Unfortunately, it’s important now more than ever to not only get in touch with employees or co-workers, but have a plan in place should disaster occur. Having an established plan in case of an emergency is the first step. Ask yourself, what is your company’s current protocol should an event occur in a city your employee is currently traveling? Do you have their email and cell number readily available? Will you need to dig through emails to find their itinerary? Who will be in charge of making these safety calls to traveling employees? Answering these questions ahead of time will make your company more prepared, should an event occur. Developing a travel policy usually helps to establish these protocols. 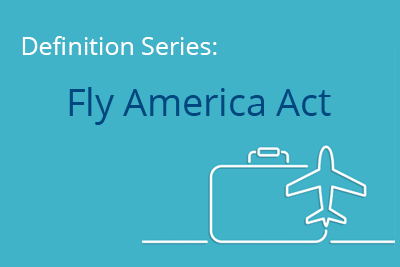 If you don’t have a travel policy, check out our travel policy FAQ to get started. 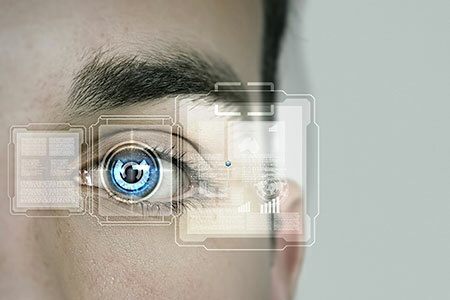 One of my favorite features of the Christopherson software is our SecurityLogic technology. Perhaps it’s because I can be a worrywart, but the value of this immediate and interactive technology is a lifesaver in dire situations. 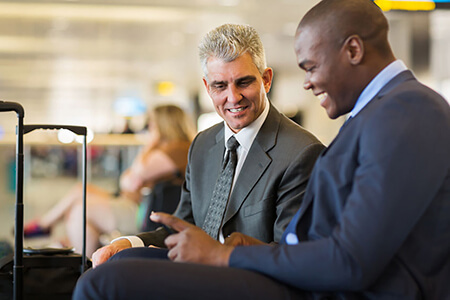 For a travel manager, the goal is simple – locate all of your business travelers instantly. Through our AirPortal360 interface, you immediately know how many employees are traveling at a moment’s notice. We supply a world map view, with pins representing your travelers. From there, you can overlay alerts, warnings, and weather. Really anything that may influence your business travelers is viewable from the map. Using the rest of our technology suite, we offer easy access to your traveler’s itinerary and contact information. Travel, security, and human resource managers are able to locate travelers and send them messages. Your business travelers can then respond to the security check and let you know they are safe. Our SecurityLogic takes the guessing out of what could be a hectic situation and provides immediate answers. 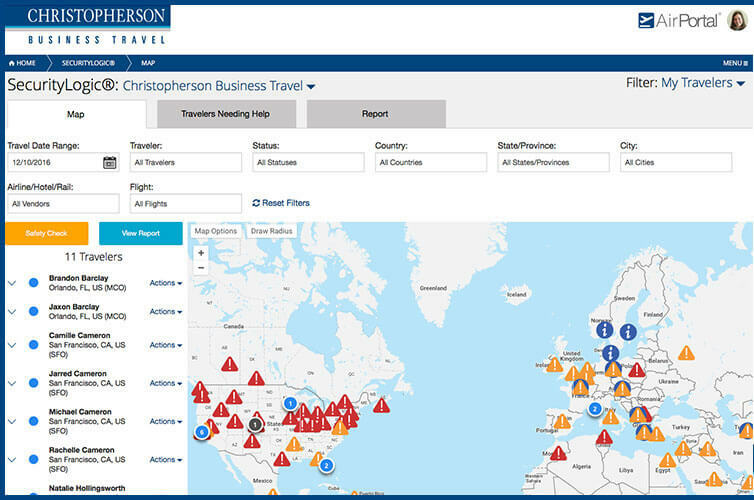 Christopherson Business Travel is an award-winning corporate travel management company. We’re passionate about assisting companies with their travel, and we think our travel technology and consultative account management does a pretty great job at it. Contact us to learn more about SecurityLogic or our other travel technology tools.